Option #1: Add all the above ingredients to a food processor and pulse 2 to 3 times or until ingredients are a chunky consistency. Store salsa in a glass container with lid and refrigerate for 8 hours allowing the flavors time to marry. Option #2 Method 2:Add all diced ingredients to a slow-cooker, cover and cook on low 3 hours. 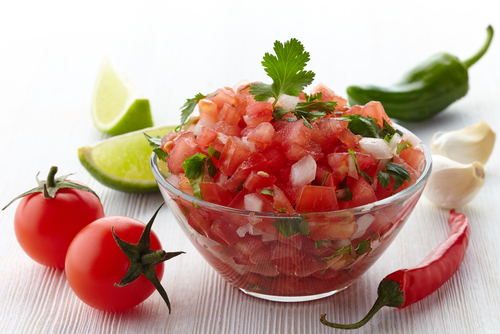 Allow salsa to cool at room temperature and store in a glass container with lid...refrigerate until ready to use. This method is more like the commercial version or restaurant style.